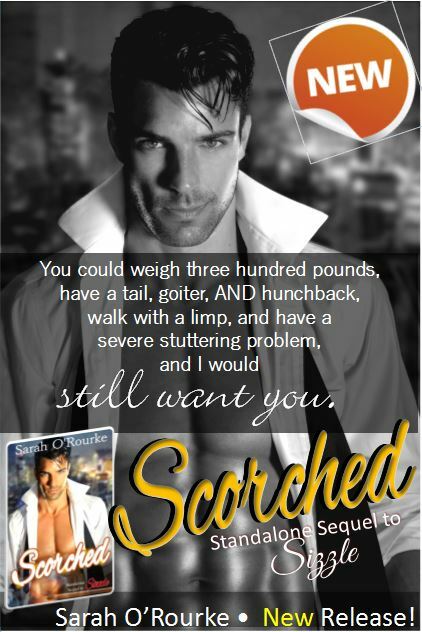 Scorched available for only 99 cents for a limited time! Sizzle on sale for $1.99 from April 6-10! Life after marriage was everything that William “Devil” Delancy was all that he wanted it to be and more. That was, until his sweet, amazing (and slightly scary!) wife Molly decided to do the impossible — arrange the wedding of his drama queen assistant! The question soon becomes…will the always-in-control Devil lose Molly to the wedding plans that are quickly falling apart, or will he be able to pull out all of the scorching sexual charms he’s known for and bring her back to the dark side? Romantic erotica comedy at its best! 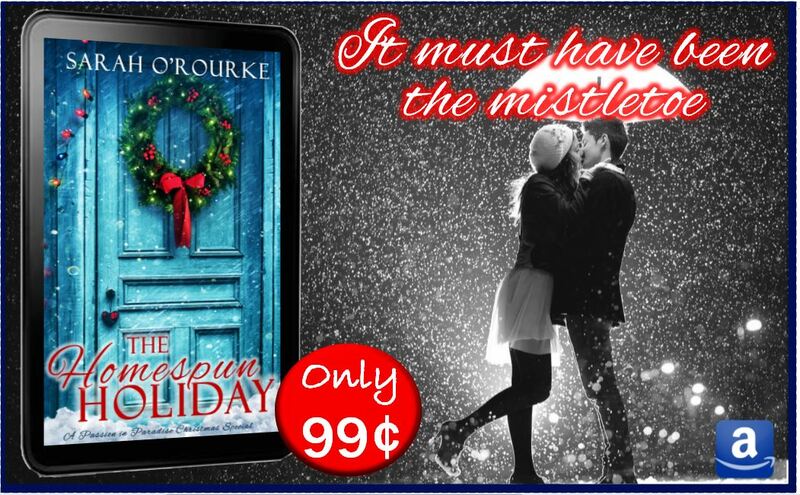 New Release…ONLY 99 pennies for a limited time! 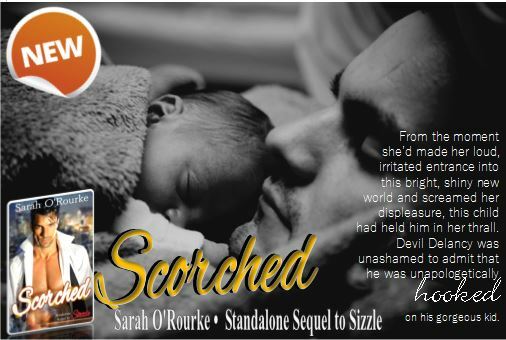 42K words – STANDALONE sequel to Sizzle! 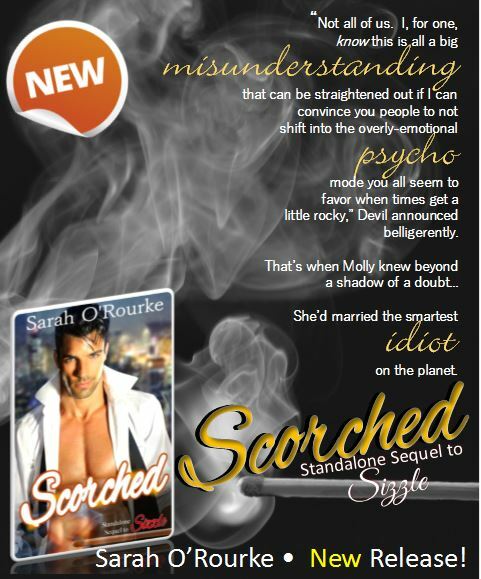 Sarah O’Rourke is the alter ego of two best friends who bonded over their passion for romantic fiction and erotica. Born and raised in the southern United States, one lives near Ft. Campbell, Kentucky, while the other resides in Atlanta, Georgia. Formerly an accountant and a chemist, they are now overworked, stay-at-home moms who adore their children, their husbands…and writing about love in every way possible. Disturbed, Devil paused mid-rant and cocked his head in Grant’s direction. “Seriously, bud, when was the last time you and Karen had a little ‘alone’ time?” he asked, using air quotes. Honestly, when he and Grant had been in college and shared a dorm room, he’d been forced to listen to his best friend and his girl screw like bunnies. They were always all over each other. He’d just assumed that they were still as…active as they once were. “Monkin’?” Devil repeated curiously, arching one dark, inky eyebrow as he waited for Grant to elaborate – which he would. He always did. “Why, what?” Grant grunted, frowning into his now empty glass. “Bumpin’ uglies? Doin’ the deed? Makin’ sweet, sweet loooooovvvveee to my lady?” Grant drawled as Devil groaned and buried his face in his hands and begged whatever God was listening for a quick death. “Yeah,” Nick nodded, interested now. “Dear God, I beg you not to answer that, man. Karen is like a sister to me,” Devil begged, grimacing at the thought of what could be coming next. “Now you know how I feel with Molly,” Grant replied unapologetically before directing his gaze toward Nick. “Well, it’s like this, Nicky, my boy. I don’t get laid much anymore because of a little thing I like to call the Three Ms. Marriage, Middle age, and Menopause. Now, any one of those can put a damper on the sexual shenanigans, but all three together? Let’s just say that those creamy white thighs of our lovers’ legs will close tighter than the vaults at Fort Knox. It’s a cocktail for catastrophe. It happens to all of us couples, my friend. Even the gay ones,” he assured the younger man with a sympathetic smile. “Yep, my wife has entered into those confusing years where I’m never sure if she wants to kiss me or kill me. Although, lately, I really think she’s leaning toward the ‘kill me’ option. I got a notice in the mail that she upped my life insurance. I’m not exactly feeling safe in my own home these days,” he lamented. “Better he hears the truth from a friend,” Grant counseled wisely.